What makes a brilliant partnership? Strategic partnerships can be a highly effective way to build business, boost brand awareness, and break into new markets. For an event the success of one brand should bring success to its partner brands also. For a partnership to truly work, it should be a win-win-win for all those involved. The perceived value, increased target audiences, affordable prices and improved brand awareness will contribute towards a successful outcome for all those concerned. However, the acid test is whether the individual organisation records positive measurable outcomes when the partnership has concluded. These are the outcomes measured against the originally set aims and objectives. As far as Countryfile Live in 2016 is concerned, 125,000 visitors and 750 exhibitors are impressive statistics which can only result in a great family day out. Our extensive & continually expanding range of wall art & home accessories are available for collection or can be delivered throughout the UK & can be shipped internationally on request. 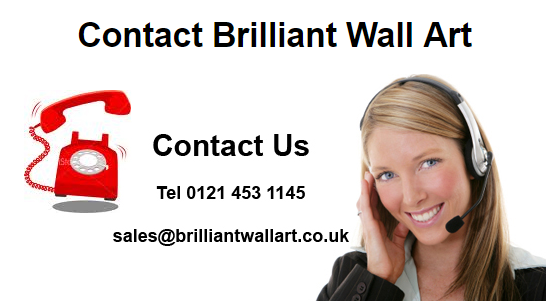 At Brilliant Wall Art we specialise in the wall art we sell, and we are continually striving to offer the very best in products and customer service. Check back on a regular basis as we are always searching for new products to offer our customers at the lowest possible prices. No other store is as committed as we are to the satisfaction of our customers, and this is why we will continue to offer the very best products at affordable prices. Brilliant Wall Art promise to be the most competitive and therefore the cheapest. Blenheim Palace is home to the 12th Duke of Marlborough and his family and the birth place of Sir Winston Churchill. Blenheim Palace is a UNESCO World Heritage Site boasting a long and diverse history. It is a masterpiece of Baroque architecture, landscaped Parkland and stunning Formal Gardens, Blenheim Palace provides an awe-inspiring experience for visitors. Explore over 2000 acres of ‘Capability’ Brown Parkland and 90 acres of award-winning Formal Gardens. Ride the miniature train to The Pleasure Gardens, a dedicated family area that offers a giant hedge maze, butterfly house and adventure playground. A year-round calendar of tours, exhibitions, experiences and events reveal the sheer splendour of Britain’s Greatest Palace. Countryfile is a British television programme which airs weekly on BBC One and reports on rural, agriculture and environmental issues in the United Kingdom. The programme is currently presented by John Craven, Adam Henson, Matt Baker, Tom Heap, Ellie Harrison, Anita Rani and Helen Skelton. As one of the most popular TV programmes, Countryfile boasts an audience of 8.6 million, and is now launching a weekday spin-off show to be presented by John Craven. The TV shows popularity lies in the way we live now. More of us than ever before are city dwellers, detached from nature and the seasons, a little uneducated in the routines and rituals of agricultural work that, in some areas at least, still dictates the life of their communities. 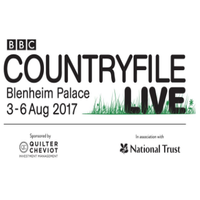 Come and see for yourselves…Countryfile Live takes place at Blenheim Palace from the 3rd to the 6th August 2017. We're exhibiting some of our best-selling metal wall art, resin wall art, wooden signs and more, at Blenheim Palace, so please visit our brilliant stall, with large discounts on selected items. Why not bring the warmth and wonder of Summer into your home?